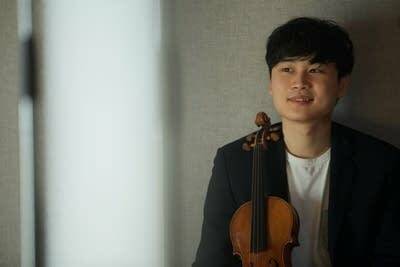 Korean violinist In Mo Yang, First Prize Winner of the 2014 Concert Artists Guild Competition, has been hailed by the Boston Globe for his "...seamless technique and a tender warmth of tone," combined with "...an ability to project an engaging sense of inner sincerity through his playing." In March 2015, he won the 54th International Violin Competition "Premio Paganini" in Genoa, Italy, marking the first time since 2006 that the Paganini Competition jury has awarded the First Prize. He also garnered the following special prizes: Youngest finalist; Best performance of the contemporary original piece; and Performance most appreciated by the audience, confirming The Violin Channel's praise of In Mo as "one of the new generation's most talented young string virtuosi." Born in Indonesia to a Korean family in 1995, In Mo Yang gave his debut recital at age 11 at the Ewon Prodigy Series in Seoul, followed by his concert debut at age 15 with the KBS Symphony Orchestra. He graduated from the Korean National Institute for the Gifted in Arts in February 2011 and was then admitted into the Korean National University of Arts as a prodigy in music. He currently attends the New England Conservatory of Music, where he is the only violinist in its selective Artist Diploma program, while concurrently pursuing his Bachelor of Music degree, studying with Miriam Fried.